Eating gluten-free but time is short? You will still have time for these super-easy gluten-free recipes! 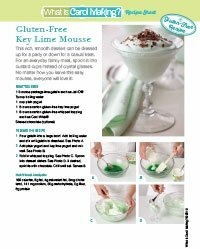 Scroll down on this page and see all of the quick and easy gluten-free recipes we have for you! Then choose the Recipe Sheets you want to download. After you purchase the download, you will receive a link on your e-mail to download the PDF. It couldn't be easier! 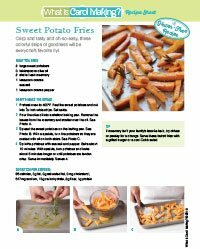 Crisp and tasty and oh-so-easy, these colorful strips of goodness will be everyone’s favorite fry!. 1 Preheat oven to 400ºF. 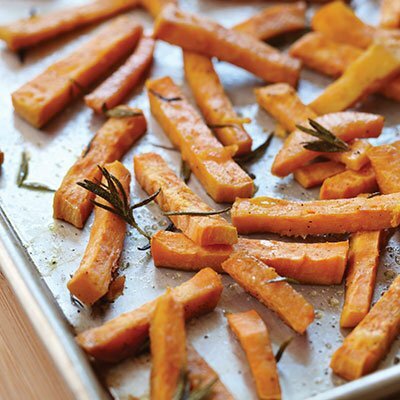 Peel the sweet potatoes and cut into 1⁄2-inch-wide strips. Set aside. 2 Pour the olive oil into a shallow baking pan. Remove the leaves from the rosemary and scatter over the oil. See Photo A. 3 Spread the sweet potatoes on the baking pan. See Photo B. With a spatula, turn the potatoes so they are coated with oil on both sides. See Photo C.
4 Sprinkle potatoes with sea salt and pepper. Bake about 10 minutes. With spatula, turn potatoes and bake about 5 minutes longer or until potatoes are tender-crisp. Serve immediately. Serves 4. This is so easy to make, it can be made in just a few minutes! 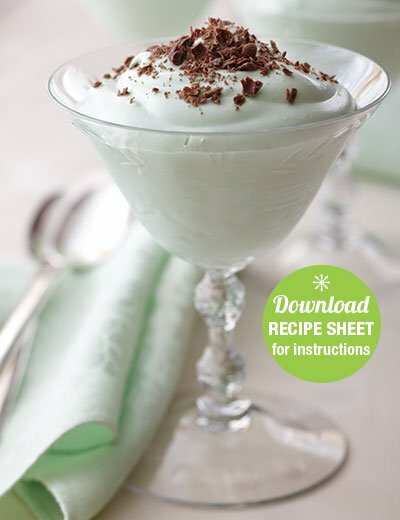 Whipped topping and gelatin combine for this easy (but elegant) dessert. 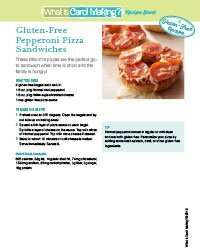 These little mini pizzas are the perfect go-to sandwich when time is short and the family is hungry! 1 Preheat oven to 375 degrees. Open the bagels and lay cut side up on baking sheet. 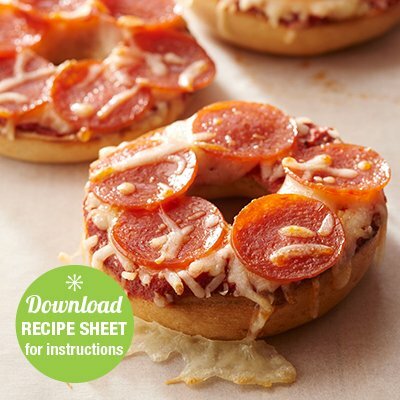 2 Spread a thin layer of pizza sauce on each bagel. Sprinkle a layer of cheese on the sauce. Top with slices of Hormel pepperoni. Top with more cheese if desired. 3 Bake for about 10 minutes or until cheese is melted. Serve immediately. Serves 8. 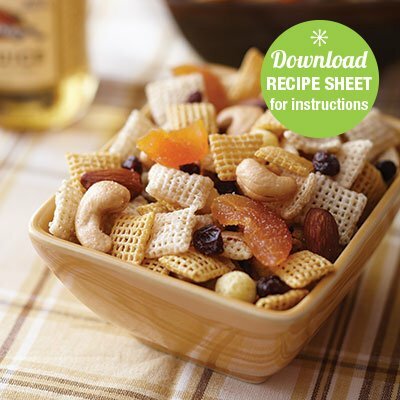 At holiday time or any time, it is great to have a snack mix on hand. 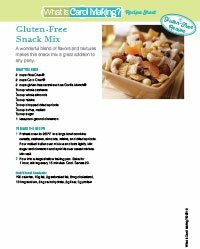 This is great to take along in the car in case you have trouble finding gluten-free food on the road!